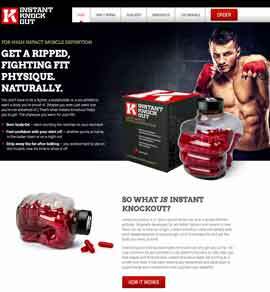 Instant Knockout is dietary supplement produced in the UK by Roar Ambition. According to Roar the capsules were originally designed to help amateur and professional fighters cut down on body fat in readiness for their pre-fight weigh-ins, while not sacrificing any of their hard-earned strength or muscle mass. This, of course, explains how the product came to get its name. It also explains why the Instant Knockout website homepage display a picture of a ripped man brandishing his fists. It’s a well-designed and impressive site though, and Roar has filled its pages with plenty of information about what goes into their capsules and the benefits customers should expect to see. Although Roar’s initial intention was to create a hard-hitting formulation to assist the exacting needs of fighting sport enthusiasts, Roar insists Instant Knockout is equally beneficial for people whose only desire is to look good and know their physique is “giving off the right signals” on a night out. Instant Knockout is primarily designed to work as a fat burner, but the formulation also contains ingredients that can suppress the appetite, along with some caffeine to boost energy levels. Fat burning formulations that work (and not all of them do) encourage the body to burn off excess body fat and this will, of course, help expose the (hopefully) ripped muscle beneath. The chances of a fat burning success can be severely limited, however, if the supplement user continues to consume too many calories. Appetite suppressants can reduce the likelihood of this happening, so Roar’s decision to add some appetite supressing ingredients was very sound, as was their decision to add some energy providers. In the case of more active users, increased energy allows for harder training sessions—and that can only lead to improved results. Those who lead more sedentary lives can also benefit because the use of energy providers will minimise the likelihood of energy burnouts due to a reduction in calories. The recommended dose is four capsules spread out throughout the day. 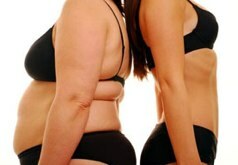 This will ensure the ingredients remain active in the body for a longer period of time and ensure maximum benefits. Vitamin B6 (5mg): Ensures a healthy metabolism. Vitamin B2 (10mcg): Helps break down fats and carbohydrates. GTF Chromium (100mcg): Overrated as a fat burner, but can be useful for controlling blood sugar levels. Cayenne Powder (100mg): Cayenne has the ability to speed up the metabolism, produce a slight rise in the body’s core temperature, and initiate thermogenic fat burning. Glucomannan (500mg): A bulking agent that swells inside the stomach and naturally suppresses the appetite. Caffeine Anhydrous (350mg): Provides extra energy and focus, along with mild appetite suppression. Black Pepper Extract (10mg): Useful for aiding the absorption of other ingredients. Caffeine-related side effects such as nausea, headache, and jitters cannot be entirely ruled out, but the average cup of coffee provides more caffeine than each one-capsule dose of Instant Knockout, so most users should be able to take the capsules without issue. Instant Knockout should not be used by pregnant or nursing mothers or anyone who has known health issues. 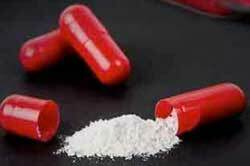 The maximum dose should never be exceeded and Roar warns against using the capsules alongside other caffeine providers. The capsules contain an excellent blend of ingredients and it is easy to see this is a powerful mix that should provide some good results. Cautious buyers even have the benefit of knowing their purchase is protected by a money back guarantee. 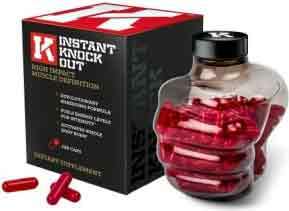 Instant Knockout is a recommended product. Instant Knockout comes with a 90 day money back guarantee. Instant Knockout can only be bought the official website. 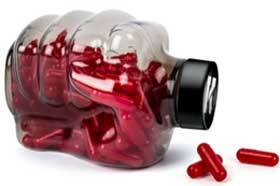 Each bottle contains 120 capsules and costs £35. International shipping is offered and shipping charges are waived for orders of two or more bottles. Customers who order three bottles get a fourth bottle thrown in for free along with a T-shirt and training bottle.